Whether you’re a boating enthusiast or prefer to keep your feet on dry land, the 45th Annual Wooden Boat Show has activities for all ages. 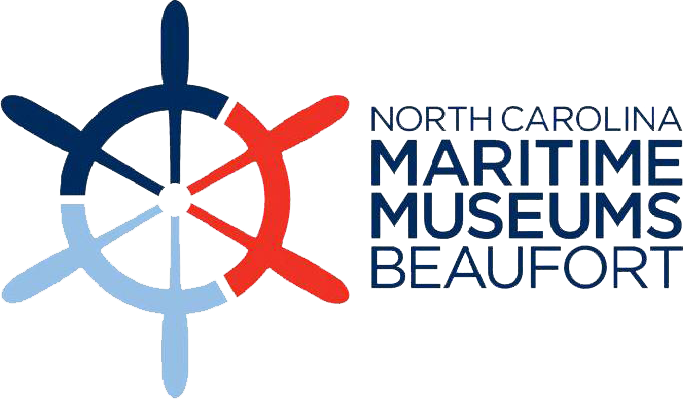 The show takes place at the North Carolina Maritime Museum in Beaufort on Saturday, May 4, 2019. It is the longest ongoing wooden boat show in the Southeast. 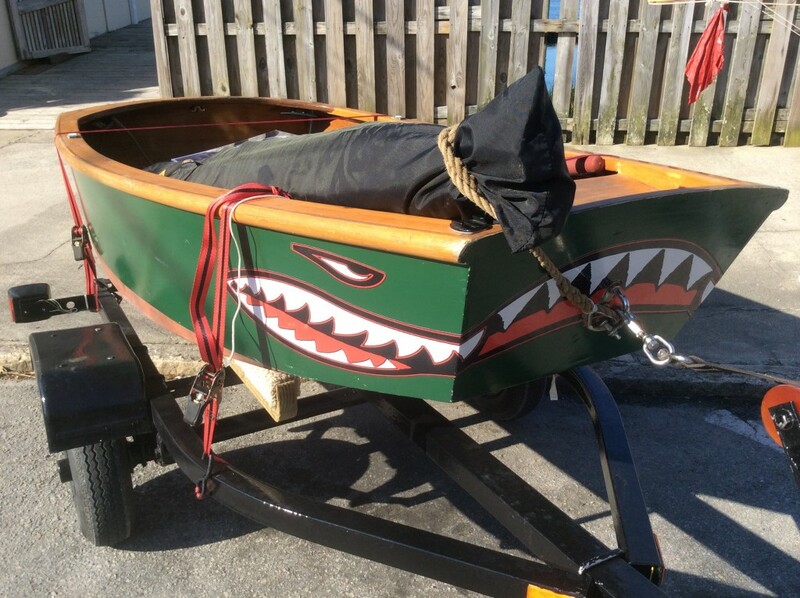 This free event celebrates the art of North Carolina boat building and the sport of boat racing. 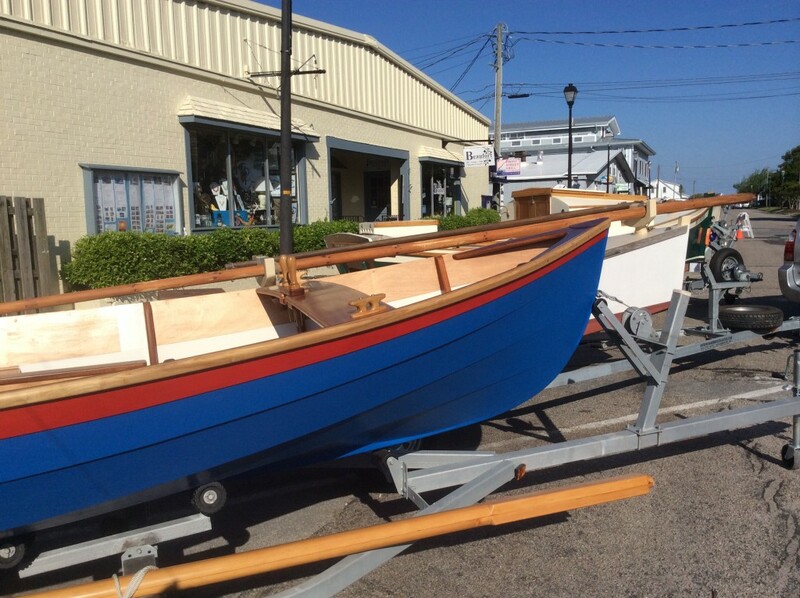 Dozens of handcrafted wooden boats will be on display and activities will be available for all ages from 10 a.m. to 4 p.m. The 45th Annual Wooden Boat Show received top honors from the Southeast Tourism Society. 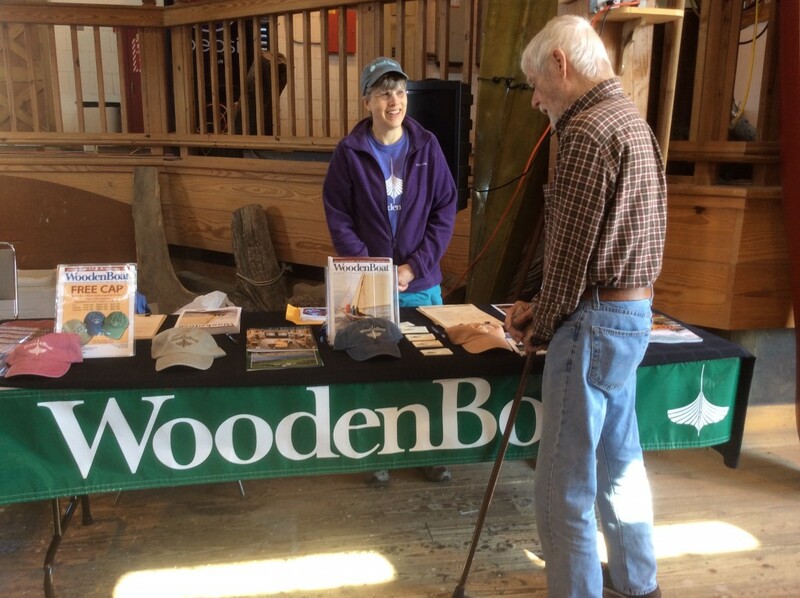 The organization selected the North Carolina Maritime Museum’s Annual Wooden Boat Show as a “Top 20 Event for the Southeast” for May 2019. This was the fifth year in a row the museum has received the prestigious honor for the Annual Wooden Boat Show. Youngsters can take part in Maritime games and crafts in the Wooden Boat Kids area. 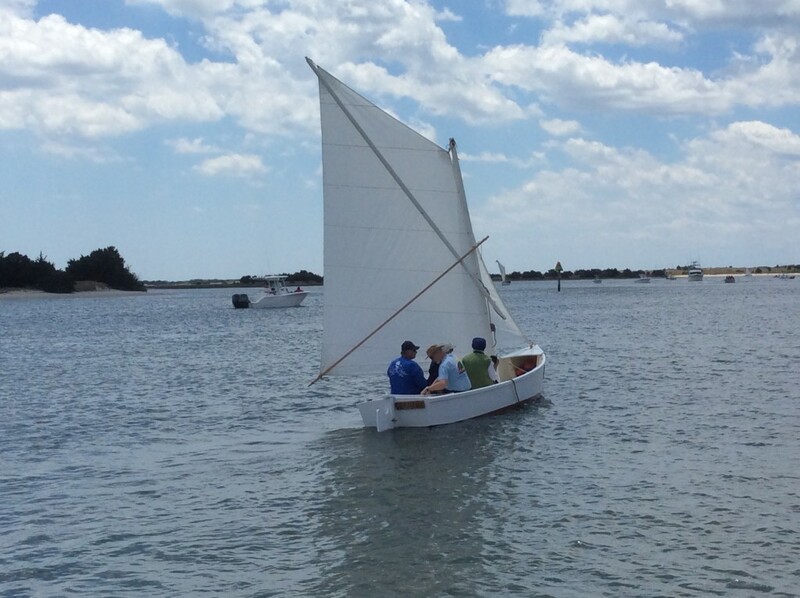 Families can team up to test their skills in sailing radio-controlled model boats. And, kids can also make their own model sailboats. 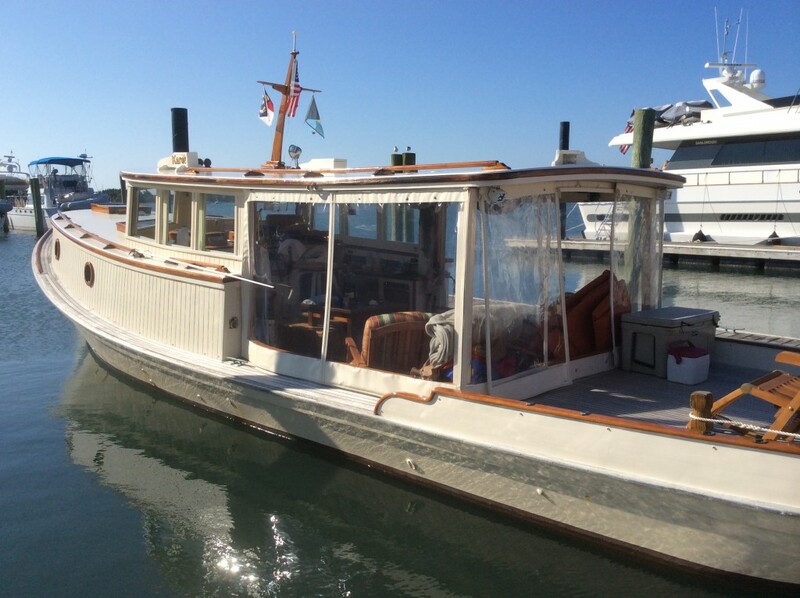 Enjoy traditional skills demonstrations & displays, educational activities, historic vessels, boat models, traditional sailboat races at 3 p.m., and sailboat rides from 1 p.m. to 3 p.m.
Four years ago, the legendary Cricket II made its debut at Beaufort’s Annual Wooden Boat Show. Once again, visitors to the Beaufort waterfront will have the opportunity to see the fishing boat that became the inspiration for the book and movie Jaws. Fort Macon Sail & Power Squadron has partnered with the North Carolina Maritime Museum to bring a Boating Skills Virtual Trainer for demonstration. Attendees will have an opportunity to “virtually” maneuver the “Boston Whaler Dauntless 200” on a lake where there are no risks as you approach other boats in meeting, crossing, and overtaking situations. In addition to the Annual Wooden Boat Show, the Fort Macon virtual demonstration will also take place on Friday, May 3 from 9 a.m. to 5 p.m. and Sunday May 5 from 1 p.m. to 5 p.m.
Don Van Hoy became fascinated with rope while serving in the U.S. Coast Guard. That was over fifteen years ago and his fascination still continues. He is keeping alive a tradition of working with ropes and knots for practical purposes. Known as Marlinspike seamanship, the practice goes back as long as there have been ships going to sea. Van Hoy will be demonstrating the art of knot work.  There will be a display of wooden model North Carolina boats by Robert Tuttle. 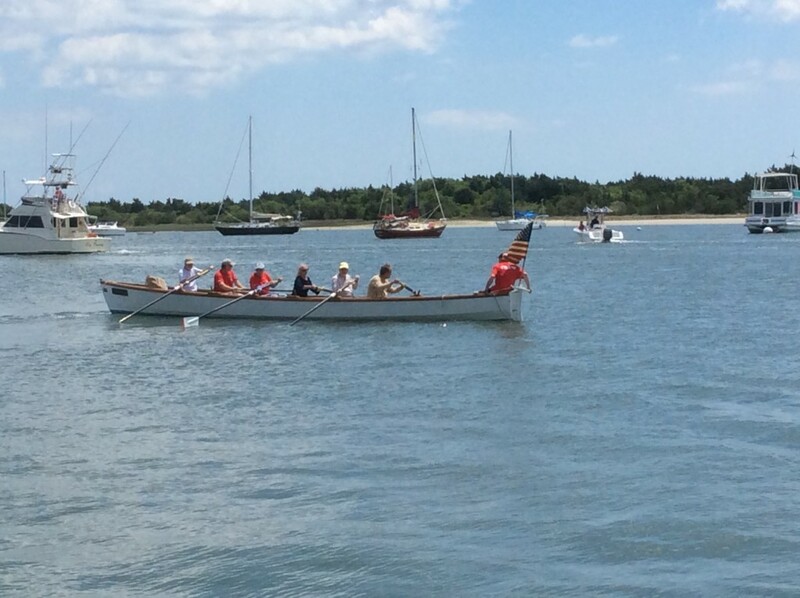 He will have to scale model boats including Harker’s Island shallow water skiffs and Core Sound workboats. One of the main attractions at the Annual Wooden Boat Show is the many traditional wooden boats. But, there’s another show that takes place on a smaller scale and it’s always a big draw for boat enthusiasts and landlubbers alike. It’s the Carolina Maritime Model Exposition with model boats ranging in average from 25” to 40”. The number of model boats on exhibit will range from thirty to close to sixty models. Often some members of the Carolina Maritime Model Society bring in as many as eight to ten models each. “These handcrafted vessels are indeed a labor of love, sometimes taking 12 to 14 months to complete,” according to Grant Caraway, Manager of the Museum’s Harvey W. Smith Watercraft Center. On Thursday, May 3, and Friday, May 4, free boat rides will be offered from 1 p.m. to 4 p.m. outside the Harvey W. Smith Watercraft Center (a $5 per person donation is suggested, which will go to the sailing program). The Annual Wooden Boat Show weekend opening event on Friday, May 4, includes a reception and live music from 5:30 p.m. to 7:30 p.m.